Not just entity management. Everything management. 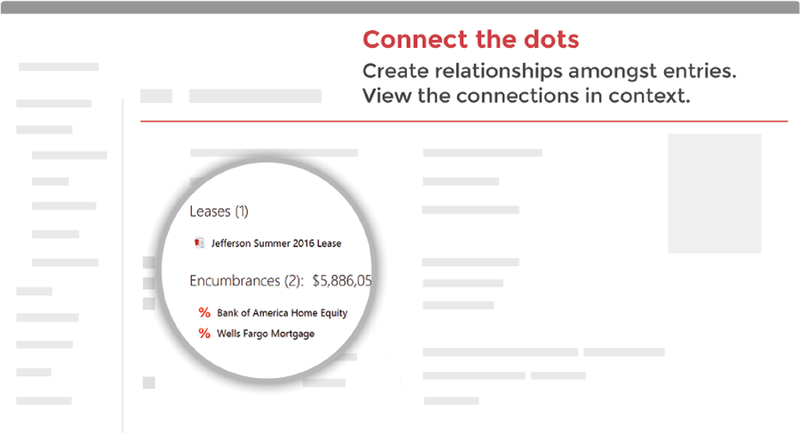 No matter the legal or financial relationship, our software can track it. 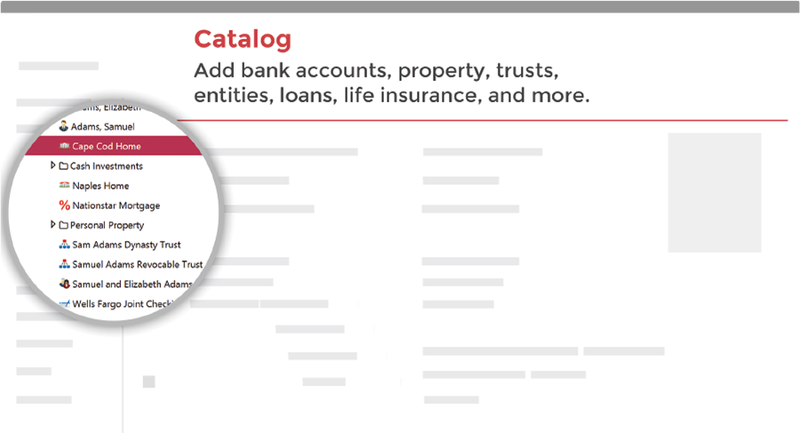 For each legal or financial relationship, context-aware data fields guide you to enter the most relevant information. 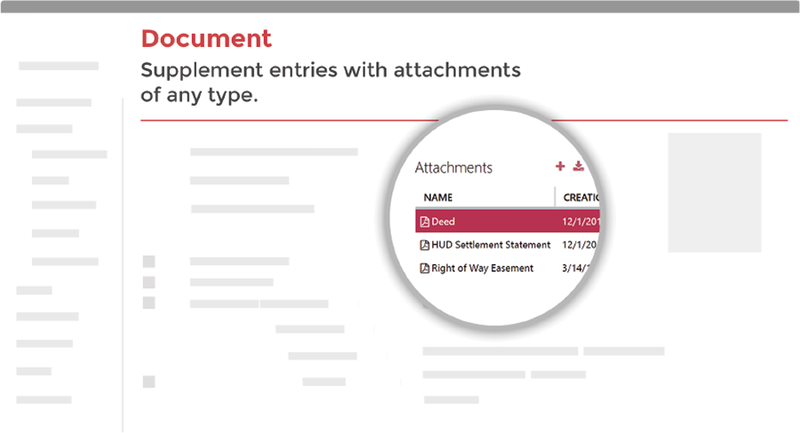 Documents are the legal support for each component of your estate. 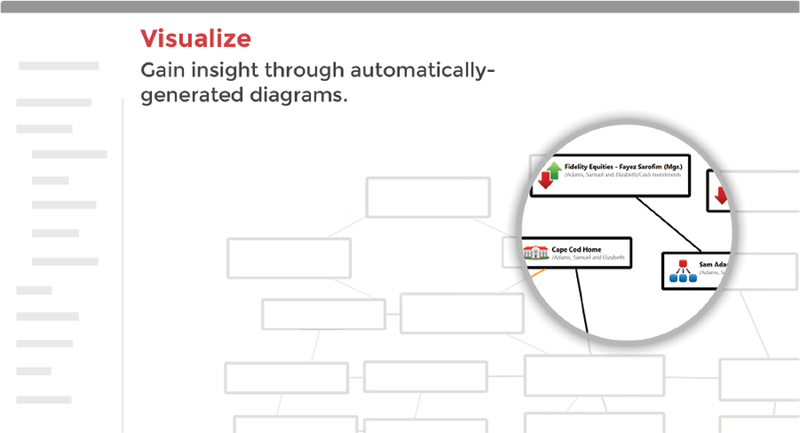 Organized intuitively, they are accessible with a click. You can't make good decisions for your estate without the complete picture. 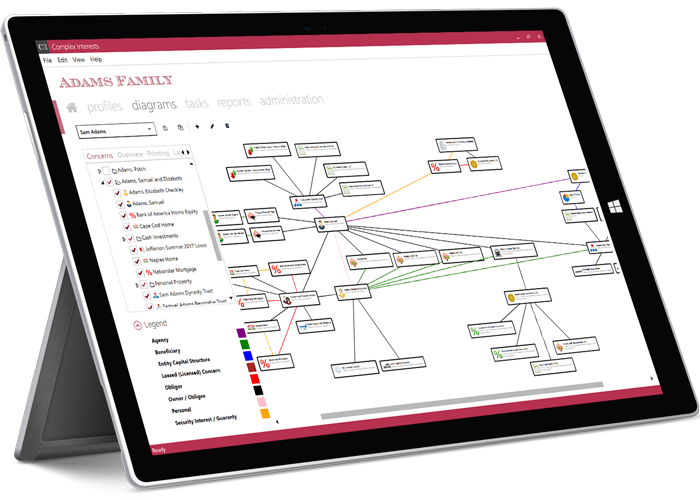 Let the software help you understand the interconnected relationships. Complex entity and debt relationships are our specialty! Do you know the next three deadlines that will impact your estate? Which property have you owned for more than a year with the greatest appreciation? 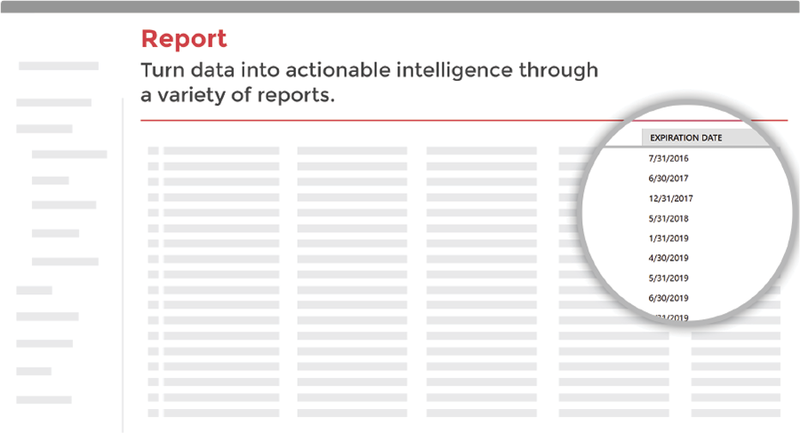 Our reports have the answers. 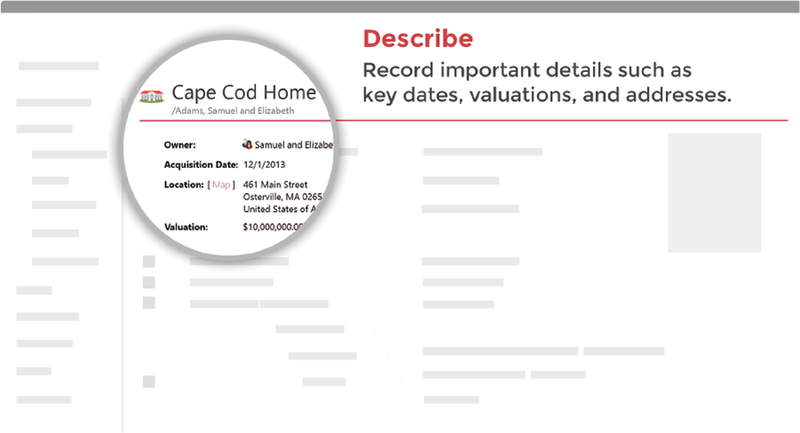 Being a steward of an estate is more than keeping a catalog of what you know. It's also about keeping track of that which you don't know or which needs attention. 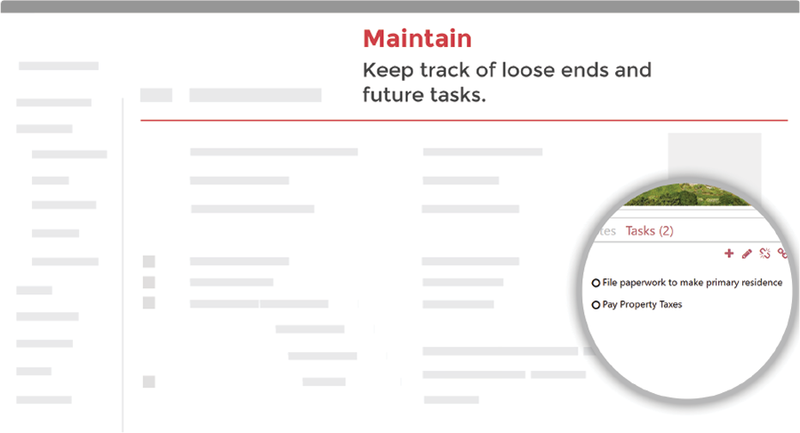 Maintain your task list in our software, and it will sync with your personal calendar.